The natural warmth of wood can be found in your living room or working space. 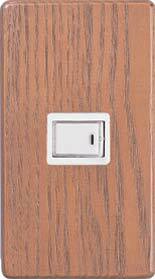 This switch panel is easy to install. (N)unpainted, (C) sand and (B) brown. ●This product contains natural ash wood. ●In total we have 3 colors; (N) unpainted, (C) sand and (B) brown to choose from. ●The polyurethane paint brings out the wood grain effect. 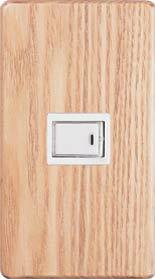 ●We have a great variety of colors to choose from for the switch button outline color. 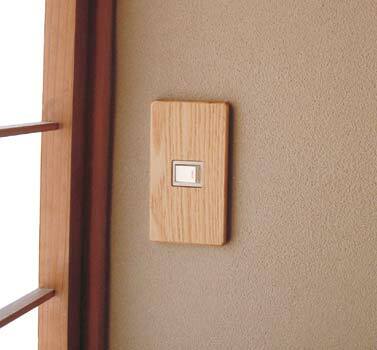 ●This switch panel has strong magnets that installation easy. ※Normal and traditional plastic plate can be easily removed even if you are not a handyman. ※Custom order is available if it is necessary to change open spots. Contact us for details. First, take off the switch panel. You can find magnets on the back side of the plate. 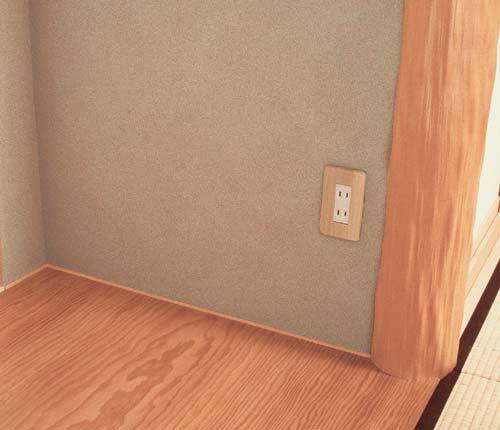 Please install the new switch plate to the same magnet place. ●This product has neodymium magnets so that hardly take off in daily use. ●There are 4 magnets with one line plate and two lines plate. There are 6 magnets with 3 lines plate. 1.Please wipe off the plate with a dry rag. 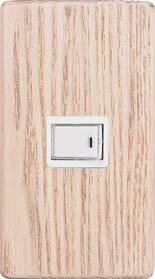 2.This product is made with natural wood. Please kindly understand about some color difference from the images of this catalog. 3.This product contains strong magnets. Please take care to put away from electronic equipment. 4.When changing the plate, please take care not to touch electrical wiring codes.